Mayo County Council made payments of €875,561.82 to current and former councillors last year. 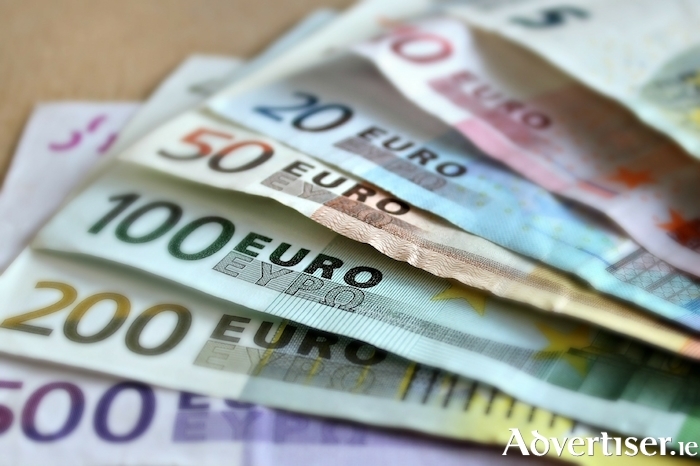 In the information released this week by the council it outlined the payments to the 30 current members of Mayo County Council along with gratuity payments of €38,239.53 to five former councillors. The biggest payment to a single councillor was €39,956.48 to Fianna Fail councillor Al McDonnell, included in that total was a €14,917.81 Cathaoirleach's allowance, along with the €16,618.32 representational payment that all elected councillors receive. Six other councillors received payments of more than €30,000 last year. They were: Fine Gael councillor Gerry Coyle €34,797.63, Fianna Fáil councillor Annie May Reape €32,727.67, Independent councillor Michael Kilcoyne €31,796.65, Fine Gael councillor Tom Connolly €31,626.85, Fine Gael councillor John O'Hara €31,431.56, and Independent councillor Christy Hyland €30,869.87. Six councillors received a €4,500 payment for being a chairperson of a strategic policy committee, they were Fine Gael councillors Gerry Coyle and Jarlath Munnelly, Fianna Fail councillors Annie May Reape and Michael Smyth, and independent councillors Michael Kilcoyne and Gerry Ginty. Payments for being the Cathaoirleach of the council along with the municipal districts totalled €44,654.78, with councillors John Caulfied, Michael Holmes, Martin McLoughlin, and Annie May Reape receiving €3,000 each; while Cllr Tom Connolly received €2.967.12, Cllr Chirsty Hyland €2,983.56, Cllr Michael Kilcoyne €2,967.12, Cllr Michael Loftus €2,852.05, and Cllr Brendan Mulroy €2,967.12. When it came to expenses for conferences and training in Ireland a total of €69,440.34 was paid to councillors, with the biggest claims going to Fianna Fáil councillor Damien Ryan who received €6,410.32, Fine Gael councillor John O'Hara €6,403.14, Fine Gael councillor Tom Connolly €6,220.41, Independent councillor Christy Hyland €5,641.92, and Independent councillor Richard Fin €5,559.63. Eight councillors claimed no expenses for conferences and training in Ireland; they were Independent Cllr Frank Durcan, Fianna Fáil councillors Blackie Gavin, Michael Loftus, and Al McDonnell, Independent councillor Gerry Giny, Fine Gael councillor Jarlath Munnelly, and recently retired Sinn Fein councillor Therese Ruane.